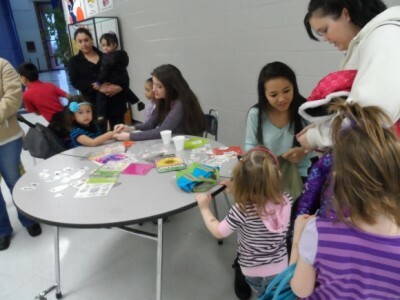 This month's party was sponsored by Blackman High School key club. It's always great to go back to Blackman, where I went to school when I first started Candle Wishes 11 years ago. I love seeing the next generation really get excited about helping others and making a difference in their community. One little March birthday boy named Dalton was at the party. He has been in the Candle Wishes program for 3 years, and every year he comes in with his hand-painted "Birthday Boy" shirt him and his mom make together each year as a tradition. This year it had a #6 on the back. His mom took a picture of me and Dalton like she does every year, and I got a big hug. You know, every month I realize more and more the impact these kids and families are having on me. It make me so happy to think about Dalton years from now as an adult looking back at these childhood birthdays and the happy memories that came with them. 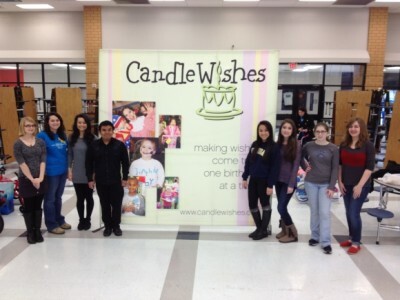 Thank you BHS Key Club, Youth Leadership Rutherford , Girl Scouts, and all those who sponsored the children for making this another amazing month for Candle Wishes!